Bobby Jindal Is Tanned. But He Shouldn’t Be Rested. And He’s Definitely Not Ready To Be President. Yesterday, I did something I thought I’d never do, not in a million years: I donated to Bobby Jindal’s presidential campaign. Jindal debuted the “Tanned. Rested. Ready.” slogan a few days ago on national television, when he declared his candidacy for President, and I thought it was absolutely perfect, though probably not for the same reasons as his campaign. First, it’s unoriginal. 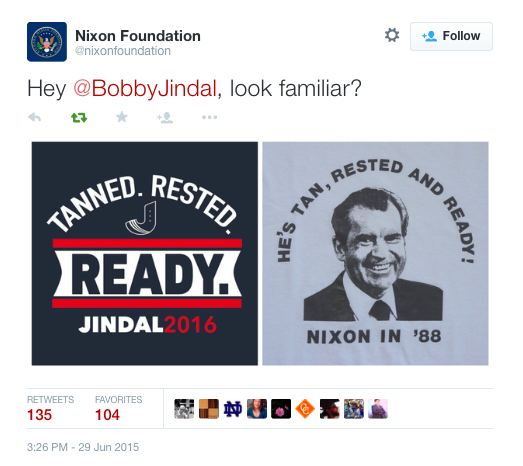 In 1988, the best-selling t-shirt of the Republican National Conference in Seattle featured a picture of former President Richard Nixon with the caption “He’s Tan, Rested, and Ready!” Believe it or not, the t-shirt was particularly popular with young Republicans, who, for whatever reason, earnestly hoped to recruit a man whose administration ended in one very big resignation and string of convictions. Nixon’s legacy is complicated, but one thing is certain: If you’re running for President, it’s probably not a good idea to channel the battlecry of anyone who believed that Richard Nixon was a better Republican candidate than George H.W. Bush, in 1988. Second, there’s a legitimate reason Nixon supporters could claim, playfully, that, unlike the other candidates, he was “rested.” After all, Nixon hadn’t held office or worked a full-time job since he resigned from the White House in 1974. Bobby Jindal, on the other hand, has spent the last seven and a half years as governor of Louisiana. Only two weeks before he declared his candidacy for the Oval Office, Jindal was, presumably, in the midst of a grueling legislative session, attempting to plug a $1.6 billion budget shortfall and spare the state’s colleges and universities from disastrous cuts. How, on earth, could this man be “rested”? To his critics and to the majority of Louisianians, the answer is pretty obvious: Bobby Jindal is “rested” because he never showed up to do his job. He’s spent nearly half of the last two years outside of Louisiana. John Kennedy, the state treasurer, claims that he hasn’t had a substantive conversation with Jindal since he was first elected, which seems almost negligent when one considers the shape of the state’s finances. Through his state campaign fund, Jindal has spent nearly $4 million with OnMessage, a D.C.-based political consultancy, and perhaps as a result, his name has appeared in the byline of more national editorials than any other presidential candidate. He’s been everywhere but where he was supposed to be. If Jindal never becomes the serious contender that his team believes he will be, there will rightly be second-guessing of whether Jindal’s tendency to always be pushing to the next big achievement, which served him well for his first 30-plus years on earth, wound up as his ultimate weakness, politically speaking. Never able to simply occupy an office or a job without looking to see where the next rung on the ladder might be. Never realizing that sometimes the best way to gain experience is to simply, well, gain it. This is precisely why, without even a hint of irony, Bobby Jindal is happy to gloat about being rested: He’s been waiting for the next big gig instead of working at the one he has now. Lastly and perhaps most importantly, the slogan is an attempt at making a pithy pun out of Jindal’s ethnicity, and instead of being funny, it’s awkward and almost cringe-worthy. For most of his adult life, Jindal has been referred to as “the smartest guy in the room,” yet when it comes to explaining his own understanding of race and ethnicity in America, he continues to struggle and stumble. Much has already been written about the subject: The fact that he changed his first name as a child and his religion as a teenager, the stories about his campaign staff instructing his Indian-American family and friends on their attire, the reports in the Indian media and among Indian-Americans about their own sense of disappointment, even betrayal. Earlier this year, I set off a firestorm by posting a photo of the portrait that hangs in his office at the state Capitol. I described it as his “official” portrait, because, well, it’s been hanging in his office for more than six years. In fact, it’s the very first thing you see when you enter his office. Jindal and his aides were clearly unprepared for the criticism. His chief of staff, Kyle Plotkin, accused me of race-baiting. 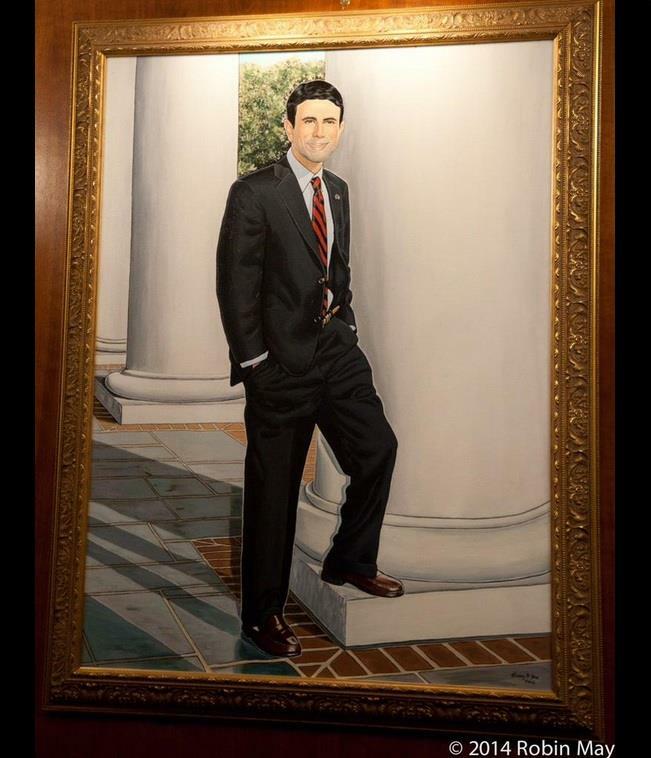 He demanded the media retract reports describing the portrait as anything “official” and then offered up a photograph of another painting of Jindal, which wasn’t much better, as the official one. He claimed, rather absurdly, that the portrait hanging in Jindal’s office was nothing more than “fan art” by a constituent, a temporary installation, even though it was actually commissioned by a well-known art collector and painted by an established New Orleans artist. The truth, of course, is that Jindal, as a current governor, doesn’t actually have any “official portrait,” but he does have only one that has been hanging for several years in his office, the one I posted and shared. I readily admit: I was offended by Mr. Plotkin’s accusation that I was, in any way, engaging in “race-baiting.” I thought it was amateurish, evasive, and ignorant, and I let him know as much personally. But during the last few months, as Gov. Jindal has ramped up his campaign for the presidency and as he’s spoken more often about his views on ethnicity, identity, and what it means to be an American, I’ve grown to appreciate that Mr. Plotkin wasn’t merely speaking for himself; he wasn’t really angry with me personally. He was speaking for his boss, a man who used the occasion of his announcement as the first-ever Indian-American candidate for President of the United States as an opportunity to publicly denounce “hyphenated” Americans. This is a man who is so clueless and naive about race, privilege, and ethnic pride he earnestly believes we should aspire to enforce a rigid orthodoxy of Americanness, as if acknowledging our diversity is somehow mutually exclusive with celebrating our unity. But I shouldn’t pretend to know what, exactly, informs Gov. Jindal’s opinions about “hyphenated” Americans. However, I do know that it’s not race-baiting or even disrespectful to acknowledge his own apparent desire to conform to an undeniably Anglo conception of American cultural identity and customs. Perhaps some people will assume my teacher was pleading for a post-racial America. That’d be nice. But the truth is: She was really expressing her own frustration with having to retire the word “blacks” from her lexicon and to, instead, use a term that included the word “American.” She resented it, and she wasn’t the only one. A few years prior, the former grand wizard of the Ku Klux Klan captured 60% of the white vote in a race for the United States Senate in Louisiana; the next year, he earned 55% of the white vote in his bid for the Governor’s Mansion. David Ernest Duke appealed to white voters by, among other thing, pretending that he was the least racist candidate because he didn’t believe in affirmative action or diversity hiring programs. It almost worked, and even though he quickly became irrelevant and almost like a cartoon version of his former self, Duke’s mailing list was still in hot demand among Louisiana Republicans seeking elective office. 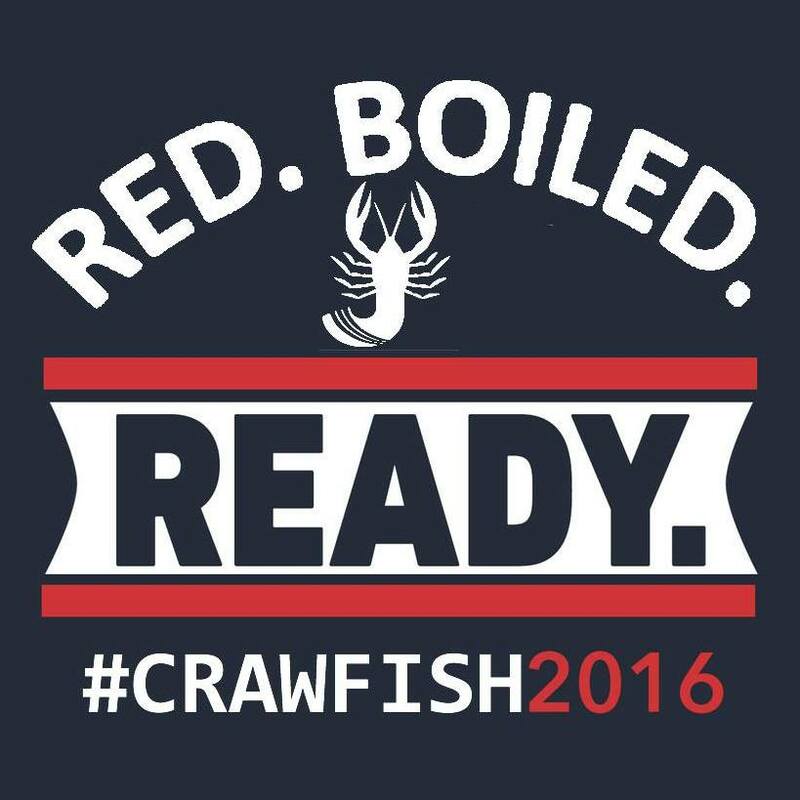 If former Louisiana Gov. Mike Foster hadn’t spent $150,000 in 1995 for Duke’s list, who knows if Jindal would have ever gotten his start in politics? I’ve mentioned Duke and Jindal together a few times before, and inevitably, someone will accuse me of sensationalism. It is true: The two men couldn’t be further apart on most issues. Duke is a white racist, regardless of what he says, and Jindal isn’t a racist at all. Jindal is an educated man with real degrees from the best schools in the world, and Duke is the polar opposite, despite the fact that he prefers to be now called “Dr. Duke.” But we also shouldn’t pretend that the average white Duke supporter in 1991, who was around 41 years old and, obviously, a Republican, simply no longer exists, because the uncomfortable truth is: After struggling to get their support in his 2003 campaign, Jindal doubled-down and built an infrastructure capable of winning landslide elections, and as others have pointed out, that required him to employ strikingly similar rhetoric on certain issues. It worked, and it proved that there’s still an audience. Timmy Teepell claims that the “liberal media” has reported Bobby Jindal isn’t “brown enough.” It’s not true at all, but Teepell and Team Jindal still hope to capitalize on it. And like I mentioned earlier, I was more than happy to help. I bought the t-shirt. There is no liberal media conspiracy against Bobby Jindal. He’s polling at the very bottom of an already-crowded field. I suppose if anyone has ever suggested or implied Jindal isn’t brown enough, it was probably me, but the problem is, I was referring to a painting, not to the governor himself. There have been a few stories about the Indian and Indian-American community’s often hilarious responses to Jindal’s statements under the hashtag #BobbyJindalIsSoWhite, but this wasn’t the product of the “disgusting” “liberal media;” it was, quite literally, simply a collection of reactions written by Indians, South Asians, and Indian-Americans on Twitter. Oh, and there was this viral video produced by a friend of mine, Versha Sharma, an Indian-American from my hometown of Alexandria, Louisiana. Versha, by the way, is awesome. There’s a simple explanation here: Bobby Jindal has never been comfortable talking about race and ethnicity, at least not substantively. So he and his team have somehow deluded themselves into believing that “liberals”- the same group of Americans who supported, elected, and then re-elected a bi-racial Harvard-educated lawyer with a Muslim father and an atheist mother and an African first name, the middle name of America’s second-most notorious enemy, and a last name that rhymes with American’s first-most notorious enemy- are even remotely concerned about how brown he is. It really has nothing to do with Jindal’s tan or his skin color. Ask almost any Indian-American. This is about his conception of America and what defines Americanness. It’s about his understanding of our country’s complicated history on race, about acknowledging the ways in which diversity in our country can be an asset but is too often a liability. It’s about who he perceives himself to be and about the dignity and respect he is willing to afford to those who look differently, worship differently, and sometimes love differently than the heterosexual white Christian establishment. On Wednesday, Bobby Jindal was extolling American values and the need for immigrants to respect and adopt our traditions and customs. On Friday, he was openly entertaining the elimination of the United States Supreme Court and, at least initially, refusing to acknowledge its authority. 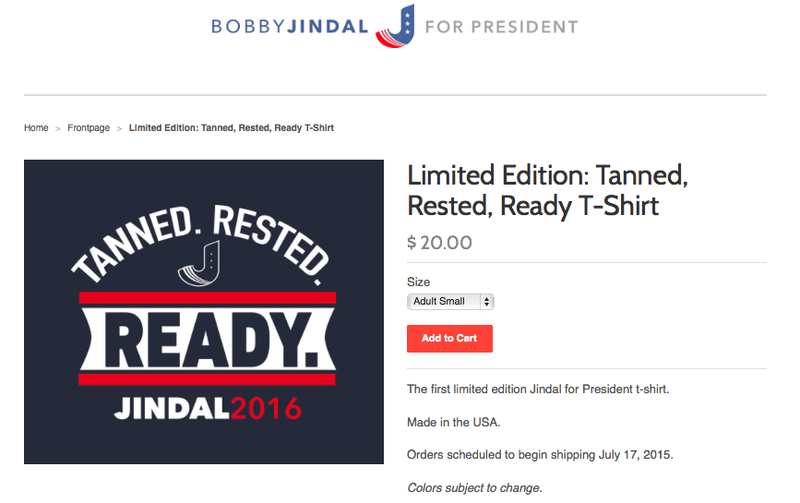 On Sunday, his campaign was selling limited edition t-shirts and attempting to capitalize off of the misconceived notion that Jindal is somehow the victim of institutionalized racism, presumably perpetrated, almost entirely, by other Indian-Americans. Yes, he’s tanned. But he shouldn’t be rested. And he’s definitely not ready to be President. I love Versha’s video and will borrow it frequently. As you’re likely aware, the first-ever televised presidential debate occurred in September 1960 between John F. Kennedy and incumbent Richard M. Nixon. Nixon, due to a recent hospitalization, appeared pale, sickly, and sweaty; Kennedy was tanned, fit, and even managed to get a nap in during his rehearsal and preparation time on the day of the debate. While I agree that the slogan was lifted from the ’88 Republican party reference, the point of that original use was to suggest that Nixon looked as good as was true of Kennedy in 1960. Jindal’s use of it now suggests that, as a young “outsider” (a notion which he’s overtly cultivated as part of his image), he’s as vibrant and exciting as was true of Kennedy in 1960 (as a young, very Irish, and Catholic candidate challenging the status quo ideal for presidential candidates). I would like to point out that while Jindal had held a lot of jobs by the time he was 33, he was not particularly accomplished. What did he do to improve health care in Louisiana while he was secretary of Louisiana’s Department of Health and Hospitals? What was his signature achievement? I’ll ask the same about his time as president of the University of Louisiana — what did he actually accomplish, other than drawing a salary? He was a healthcare policy advisor to Bush; need I remind you what Bush did to health care? He was assigned to study the nursing shortage. That shortage exists to this day. It’s time to stop just accepting the Jindal campaign’s version of events; stop letting them set the terms of the debate. I can only unpack so much in one article. 🙂 I’ve written about these issues in the past though, and you’re absolutely right.